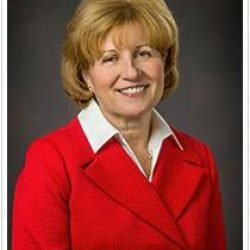 Reading – State Sen. Judy Schwank, Berks Country and the Berks Agricultural Resource Network invite Berks County students to share their thoughts about farming in an essay and video contest celebrating National Ag Day. The day reminds people where their food comes from and the contribution agriculture makes to their everyday lives. Essays will be grouped into three categories based on the students’ grade. A winning essay from each grade level will receive a cash award from BARN and be published in the March 22nd edition of Berks Country. • Fourth to sixth grade: In 100 to 150 words answer the question, What does a farmer do in a day? • Seventh to eighth grade: In 250-300 words, answer the question, What three things would you have on your farm and why? • Nine to twelfth grade: In 450-500 words discuss, What are the benefits of eating local food? • Fourth to twelfth grade: In a short video, create an advertisement for a local agriculture product. Videos must be uploaded to YouTube. Essays must be submitted online at www.senatorschwank.com/essay by March 3rd. The National Ag Day program was started in 1973 by the Agriculture Council of America (ACA) to encourage every American to understand how food and fiber products are produced; value the essential role of agriculture in maintaining a strong economy; and appreciate the role agriculture plays in providing safe, abundant and affordable products.